After Years of trialing alternative products PotBlack has signed a distributor agreement with UK based manufacturer Hainsworth & Sons. 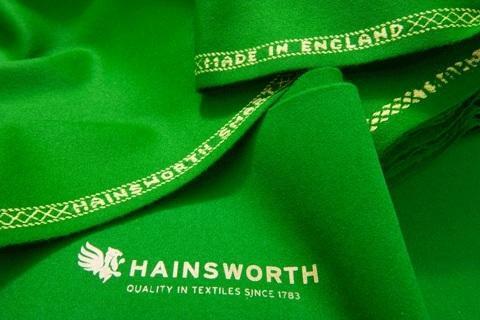 With textile experience that dates back to the 18th century, Hainsworth produce a range of quality cloths to suit most cue sport applications and PotBlack is committed to offering the fullness of this range to the New Zealand market. 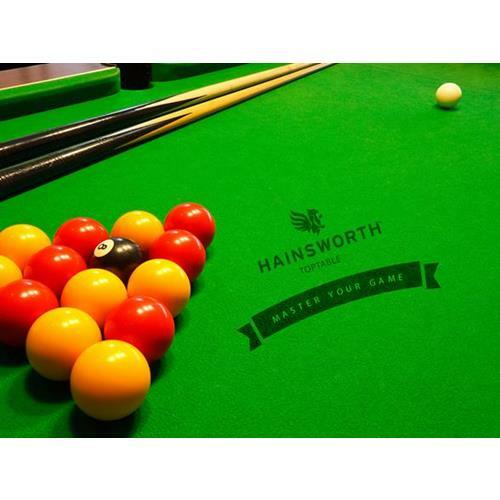 Whilst branded cloth offers brand managers an interactive media to communicate its messages, pool table branding has become a popular and authentic way to further theme a hospitality outlet or to personalise the bar at home. Club Cloth is an affordable performance English made 27oz napped pool cloth for general use, ideally suited to home use or less demanding commercial locations. PotBlack NZ distribute Club cloth in precut bed & cushion sets in four popular colours: Olive Green, Burgundy, Royal Blue or Black. 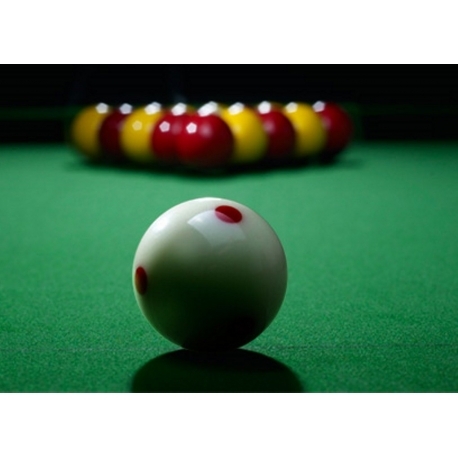 High quality 30oz napped cloth made in England & renown worldwide as a leading pool & snooker cloth. Designed for commercial durability & high performance & available in 20 stunning colours to accommodate any colour scheme. High quality worsted or napless speed cloth designed for American big ball tables with long lasting durability, also suitable for underage or novice outlets where wear & tear may be an issue. Available in 20 colours and in some branded titles.